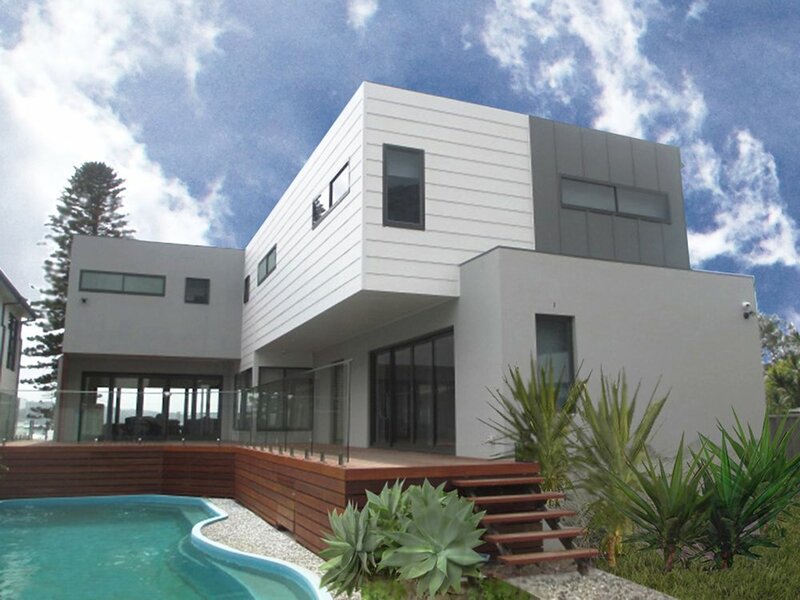 This water front two storey design evolved from a concept of stacked boxes that achieves an open plan living space with panoramic Brisbane Water vistas, whilst simultaneously connecting the existing original swimming pool and central yard. This creates an expansive entertaining area. The project scope also included a secured drive through double garage with a two bedroom self contained secondary dwelling over.